So you want to retire in Ecuador, or maybe somewhere else in South America. But you’re worried. Maybe you haven’t traveled that much, or don’t speak the language. How much will it cost? You have a list of questions a mile long and you don’t know who to ask or who you can trust. Well, you’ve come to the right place. I’ve done this already. I was lucky enough to retire in Ecuador in 2014. Stay tuned and I will tell you all about it. So, you want to retire but not sure you want to retire in Ecuador. Maybe you are better suited for Costa Rica. It is very popular right now. And there are other great places like Portugal and Spain, and you might like Colombia. Last year I was in Colombia, Portugal, Spain, France, and Belgium. I liked them all, but Colombia and Portugal were my favorites. Beautiful and affordable. But of course, my heart is still here in Ecuador. Let me share my general knowledge with you. I will cover the things you need to know about retiring abroad. This information will work almost anywhere in the world. Of course there will be different requirements depending upon your chosen location. I know the questions to ask and I know where to find the answers. And one last thing before we get started. Retirement is a huge change in lifestyle for most people. Change can be difficult. Now add moving to another country and it might become overwhelming. About 40 percent of the people who retire abroad will either move back or move to a different country within the first 3 years. Keep that in mind when questioning if you should move all your furniture with you, or if you should buy a home when you arrive in that new country. Where do you want to go and how will you get there? Before you do anything, get connected to a few social media sites. If you are considering Ecuador, Colombia, and Spain, then get on Facebook and join sites that originate from those countries. Make some friends. People who travel tend to be really friendly and helpful. Just start asking questions, but not too many at one time. Google the questions first so you don’t sound like a complete dummy. Then confirm the answers on the social media sites. Get to know the site, and get to know the people. Watch out for the mean ones, and watch out for the scammers. I will have more stories about those people as we go along. Once you get established on social media, check out local charities people spend time at. There is a good chance you will see some of the same people working with more than one charity. Now connect with any local club you are familiar with or are a member of. The Lions Club, Rotary International, even the local AA organization. These groups are all over the world and are a great source of information, and possibly new friendships. My first information hero was Alberto Ordonez. He owns Casa Ordonez in Cuenca Ecuador. Before I ever visited Ecuador I asked around on the local Facebook groups. I needed a place to stay for 10 days and Alberto was highly recommended by many of the group members. I checked out his Bed and Breakfast on TripAdvisor and Casa Ordonez was number 1. If you are looking at Cuenca Ecuador, then Alberto is your guy. But if you are looking elsewhere, you will need to find that special person. That person will become obvious as you do your homework. The photo below is of me and Alberto sharing an hour of conversation at the hotel. Ask around and you will find what a kind and honest man he is. His English is almost as good as his Spanish. He made the transition so easy, from helping me sign up for cell phone service to helping me find my first apartment. He knows the good restaurants, the good tours, and the best neighborhoods. He also knows where to buy really good wine for a really low price. The other thing about staying with Alberto, are the people you meet at breakfast. I made some lifelong friends at Casa Ordonez. My life would have been very different if I would have stayed alone at an AirBnB. If you want a quick and easy start to your new life, stay here. You will not regret it. So here is how this site is going to work. Each post will give you some specific information on how to retire in Ecuador, and general information about retirement abroad. In this summary area I will remind you of what is important to remember from each post. After I do that I will probably write a story about the human condition because that is what I like to do. You will soon understand why I have always been considered a cog off, and just a little weird. So, if you’re weird, or like weird people, this will be fun for you. And please tell your strange friends about this site. Eventually I will write a book and ask you to buy it. It will cost $5 so start saving now. I’ve been asked to form a travel group. Maybe that will happen in 2020. 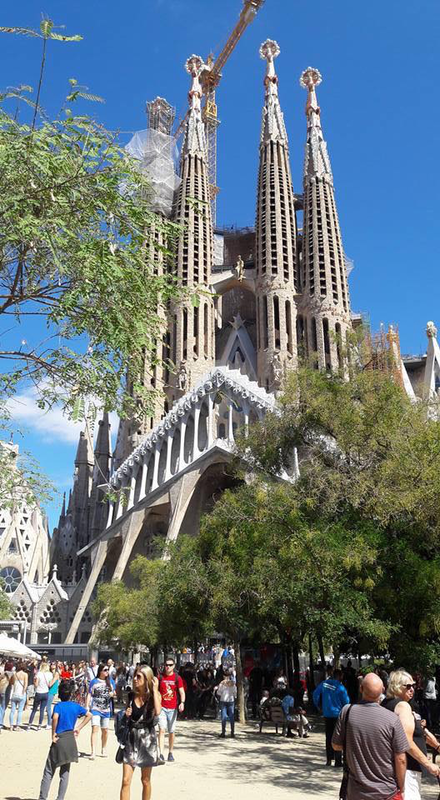 By then my Spanish should be much better and I will make a better tour guide. And speaking of Spanish, I know the best and easiest way to learn this new language. I will share that with you later. Don’t get a container to move all your stuff to Ecuador. Travel light, buy the little things here, rent a furnished house or apartment. It’s fun shopping around the city, and with a furnished apartment and not much stuff, you stay light on your feet so you can move around easier. The average person here in Cuenca moves to three different houses before they find the one they like. Before you move, connect to social media groups. Ask and learn as much as you can. And finally, find someone you can trust. I know people all over the world now. Ask me if you need help. Last year a friend mentioned to me that she felt awful about Robin Williams. She said she still had regrets from two of her past lives when she committed suicide, and wishes that she would have made better choices. I’m close to someone who believes there are seven levels of heaven and that we are all in heaven right now. He’s not sure what level this is, but he knows if he lives a good life he will move up to the next level. I have a close relative who does not believe in god at all, lives an honorable life, but expects to be eaten by worms when his life is over. I have another friend who believes he has a healing touch. He is a very humble person, and has alway questioned why he was given this gift. Just recently he talked to me and feels he is just the conduit between a higher power and the people he chooses to help. Almost forgot about this expat woman here in Cuenca who believes in aliens, and that they are controlling life in the universe. And finally, I know many people that believe there is a being in a white flowing robe that is all powerful and all knowing and that watches over all of us and listens to our prayers. So what do you think of these beliefs? This story isn’t meant to be about religion or spirituality, but more about how open or closed minded you might be. Would you discount any one of these people as crazy, not give them the time of day, and move quickly away from them? Are you done learning from others? Have you shut all those doors, are there no new ideas or concepts you find interesting? Or do you find all these examples intriguing? Can you embrace these different and maybe bizarre beliefs? Where did these ideas originate? Why do these people think the way they do? Who are these people? Where did they come from? Wow, maybe these people have some other interesting ideas. Maybe they will share more of them with me. So this is my first post. My future posts will be very similar. Once I have the rest of the site built, you will be able to subscribe if you want. You will be able to watch me build a Craftsman style home in California. I will be traveling to China later this year. And I will probably talk a little about getting older. I’m trying to embrace it. It’s not easy. Until next time, take care of yourself and thank you for any comments below. Hey Ecuador George, you came back Ecuador and your blog ! Your posts are very helpful amazing . 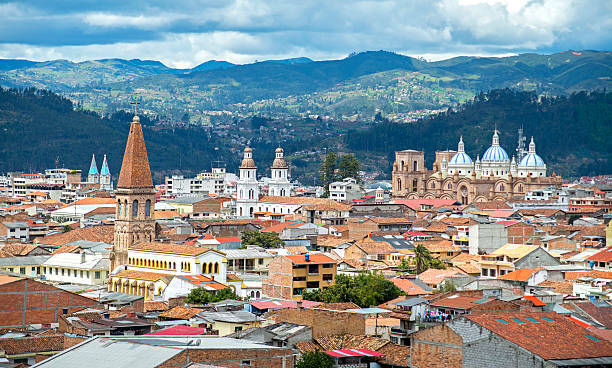 In this way you will make gringos double here in Cuenca 🙂 and i heard that there is a very popular poker group in Cuenca just selected members can enter. Write this group down also. See you bro ! I will not reveal the names in the poker group. This must be kept a secret. Thank you for the kind words about the blog. I will do my best not to disappoint you. See you again in July when I return. G.
We were looking at relocating to Ecuador and we did a three week visit that included a week in Salinas. We stayed at Casa Ordonez with Alberto. You hit the nail on the head! Alberto is still a friend of ours an we talk to him several times a year. Tell him we said “hello”.. A move to Ecuador is much easier with Alberto a part of your life. He actually served in the U.S. Navy for four years. That was the best thing we did!! Cuenca is a fabulous city with fabulous weather! We decided to move to Pensacola, FL instead which also is a great place to live. Even International Living ranks the U.S. as the best place to live. I believe we actual met you in Cuenca. We love your articles and read every one written!! So many of your comments are spot on!Keep up the good work. We very well may visit that area again. We really enjoy Ecuador! So glad that you were able to meet Alberto. 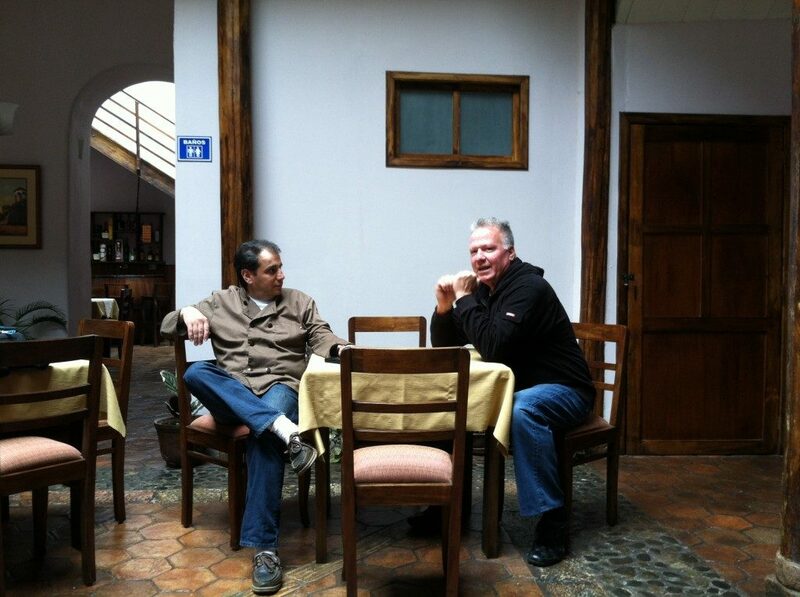 He is the perfect host and his knowledge about Cuenca is so valuable for someone just arriving here. And thanks for the nice compliment about the articles. Hoping to post more often. Good luck in Florida. G.
I have missed you, welcome back! Love your stories, love your humor, perhaps I’m a cog off as well. That would make me very happy indeed. $5 – start saving now! Baaahaahaa! You always make me smile. We ended up retiring in Arizona for now, as my hubby has some health issues, and far away is not an option. But who knows what the future holds. Thanks for sharing your wonderful knowledge in your very special way. You made my day.